Division of Sponsored Programs is the only office authorized by the University of Florida to accept grants, contracts, and other agreements from external sponsors and to execute unfunded teaming agreements and memorandums of understanding with partners where unfunded or funded research or development is anticipated. Documents requiring signatures must be reviewed and signed by an authorized representative located in DSP. DO NOT SIGN any documents, or communicate any financial or institutional commitments unless it has been reviewed and approved by DSP. All proposed contracts, agreements and awards, and their modifications, must be routed through UFIRST before DSP can officially begin the negotiation process. If a sponsor does not require the use of its template, DSP can supply templates or draft custom agreements to fit your research agreement needs. To obtain DSP agreement drafting services, please create a UFIRST agreement file and request that DSP use a UF template. If the proposed agreement obligates UF to perform work, the UFIRST agreement file must be related to an approved UFIRST proposal. If sponsor requires the use of its template, please create a UFIRST agreement and attach the agreement in UFIRST. Basic research agreement templates can be found here. Please contact a member of the DSP Contracts Team for additional templates and other agreement drafting needs. If a UFIRST proposal is on file, create a UFIRST agreement from the UFIRST proposal (it will automatically relate). If an agreement contains funding or otherwise obligates UF to complete work, and there is no UFIRST proposal on file, you must create a UFIRST proposal and route for approval. After the proposal is approved, create a UFIRST agreement and relate it to the UFIRST proposal. Create a UFIRST agreement and submit to DSP for review. 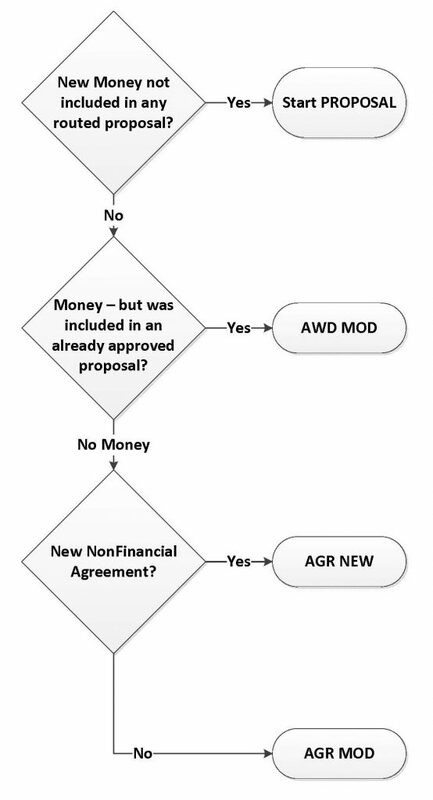 Modifying No-money Agreements: For modifications to no money agreements, create a UFIRST agreement modification. Questions or not sure to what office to send an agreement?